Expand search to view more listings in and around Long Beach. 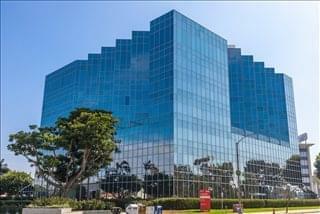 See more offices in and around Long Beach. We have offices for rent located in ideal Long Beach business positions, offering office suites in a range of sizes and configurations. 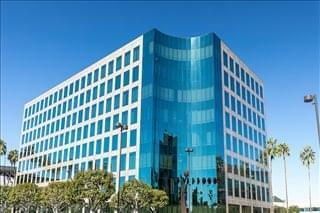 With short term and flexible rental agreements, you will have the benefit of an enviable business address in Long Beach, California including a wide range of support services and amenities, without the long-term commitments of a conventional office space lease. Whether you are looking for Long Beach commercial real estate in the form of medical office solutions, shared office space, industrial space, retail spaces, or other office solutions and spaces available for lease in Long Beach, CA - we would love to hear from you. Our flex space can help you acquire a business presence in a location near popular destinations such as Los Angeles County, Huntington Beach, La Mirada, California Heights, Traffic Circle and the East Village Arts District. If you you enjoy scenic drives along the Pacific Coast Highway - Long Beach, CA is the ideal location. 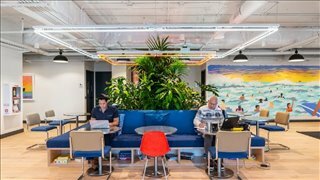 The Offices.net service was created to help businesses find new spaces for lease and flex space for rent with as little hassle as possible. Flexible contracts and competitive pricing allows businesses of any size and budgetary requirement to benefit from the location in Long Beach that is right for them. Whether it's an entire building or just meeting space, we try our best to ensure that the entire process of finding the ideal office space for rent in Long Beach is as simple as possible for our clients. 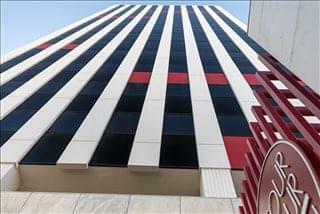 Many of the Long Beach spaces for rent come inclusive of business support services and amenities such as a covered parking lot, car parking garages or general onsite parking, air conditioning, 24-hour access, business lounge facilities, meeting rooms, and more. Just click on any of the office buildings that catch your eye to read more about what is included. 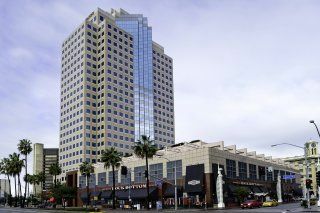 The Long Beach office market is considered part of the South Bay area, as it shares many similarities in terms of occupier type, trends, and indicators. 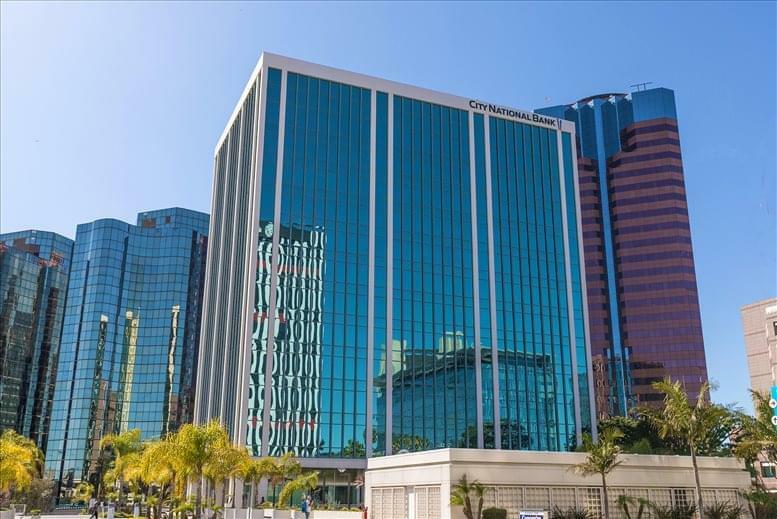 Market fundamentals are generally strong and are expected to stay that way given that lower-than-average office rental rates are positioning Long Beach as an attractive destination for cost-conscious companies looking to relocate or consolidate space. Market Overview: In downtown Long Beach, older office properties for lease are being refurbished to suit the needs of tenants in the creative sector, and overall there is a surge in investment, which points at the optimism with which the local office market is seen. 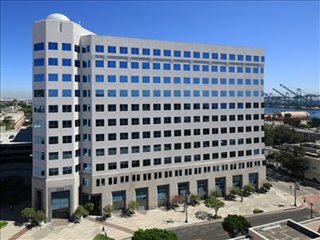 Long Beach, CA Office Space Price Range: All in all, there are approximately 5 million square feet of space in downtown Long Beach, CA, and an additional 4 million in the outskirts. Average asking rates range between $28 and $30 / sq ft / year, and although vacancy rates are higher than in Greater Los Angeles County and still remain at double digit levels, they have been decreasing modestly but steadily due to both increased demand and office-to-residential conversions. Rents in suburban Long Beach office properties are still under $25 / sq ft / year (2017 data). Many of the business centers that we feature offer offices that are fully furnished and equipped, making setting up a very easy process. Some of the serviced offices can be configured to meet the needs of your company. Many office providers will tailor the space for you and permit you to decorate, giving you more control over your work area and branding. 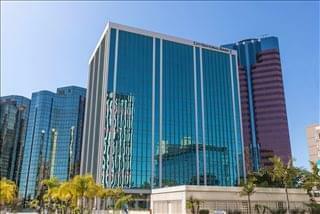 Click on any of the well situated Long Beach offices for rent listed above. The commercial space, executive suites, shared office space, private offices and retail spaces in Long Beach on Offices.net are situated in prime business areas, and are available for lease or on competitive, flexible rental terms to suit your company's needs. With a population of more than 450,000 people, Long Beach, California is one of the 10 most populous cities in the state. This large urban center is known for its quality of life and strong economy, and has received several awards in recognition to its innovation levels and urban planning initiatives. Key Industries: Long Beach, CA grew economically due to the impact of the defense, aerospace and oil extraction industries, although advanced manufacturing (mainly automotive, electronics, and consumer goods), aviation and petrochemicals now carry significant weight within the city's economy. Other important sectors are healthcare and social assistance, education, and accommodation / food services. Major Employers: The list of largest employers is led by the Port of Long Beach, which is among the busiest facilities of its kind in the United States and supports 30,000 jobs in the city. Other important employers are the local school district, Boeing, the City of Long Beach, Verizon, Long Beach City College, USPS, and two medical institutions: the Long Beach Memorial Medical Center on Atlantic Avenue and the Veterans Affairs Medical Center on East 7th St. California State University, located in the Los Altos neighborhood, has two campuses and is also among the city's major employers. Labor Market: Long Beach, California has a workforce of more than 155,000 people, with the largest occupational groups being leisure and hospitality, education, healthcare, government, professional, scientific, and technical jobs, management, retail trade, transportation, and warehousing. In mid 2017 unemployment levels were at their lowest since the financial crisis, and future job growth prospects are set at 37 percent over a period of 10 years. Grow Your Business in Long Beach, CA: The Kauffman Index of Entrepreneurship ranks the Los Angeles-Long Beach-Santa Ana area among the top 10 most entrepreneurial areas in the United States. Moreover, a 2017 survey interviewed owners of small businesses in Long Beach and found that optimism is the predominant theme in the local business community, although the most commonly cited challenges included finding skilled employees and raising capital. Business Incentives & Support: On the positive side, the most attractive factors are the city's convenient location (only a 30-minute drive from all major cities in Southern California), a business-friendly tax structure, and rising educational attainment levels. The local authorities have created an online business portal to help find resources at any stage of the business development process. Whether you are looking for short term office space for rent or the flexibility of being able to expand and contract as necessary, Offices.net is here to help. View the available commercial spaces, executive offices, medical office solutions, warehouse spaces and furnished office spaces for lease on the site or contact us to discuss your company's specific requirements. 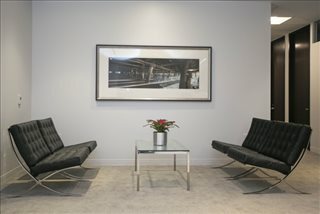 We also offer furnished office space for lease and flex space for rent in other areas in California, and around the country. Get in touch with us today to find the best office available in your chosen destination.